The Meizu MX4 Pro smartphone was announced back in October by the Chinese manufacturer. While most of us figured that the smartphone would be limited to the Asian markets, the company made it available to the world through online portal Oppomart. Today, the smartphone has received a price cut for the global customers. 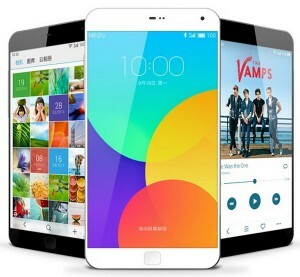 The 16GB model of the smartphone can be yours now for just $379 if you live outside China. Previously, the smartphone was priced at $549. The 32GB model will set you back by $429 while the 64GB model isn’t available for purchase outside China. Users can pick from Grey, Silver and Gold color variants. Don’t let the price tag fool you though as the MX4 Pro is capable of competing with the biggest flagships in the market today. The handset sports a 5.5 inch 2K resolution display, a 20.7-megapixel camera on the back, a 5-megapixel front camera, 3GB of RAM, an octa core Exynos 5430 SoC, Android 4.4 KitKat and a 3,350 mAh battery to keep the device going for long. Will you be interested in a device like the MX4 Pro? Sound off below.